What is a “small claim”? Are they worth pursuing? As the costs associated with legal disputes continue to rise around the globe, even as smaller claims make up the bulk of business disputes, businesses are seeking any option to defray legal costs and better ensure collection of claims. Arbitration has been a common option, often seen as lower cost, however such costs are rising. Another option traditionally available for businesses facing smaller-value claims has been “small claims” tracts within national courts. A new trend is emerging that will increase legal resolution of smaller claims and will greatly improve the administration of disputes in both national courts and arbitration: raising the monetary value eligible for “small claims” treatment. 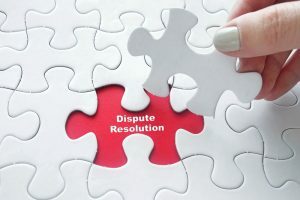 Legal teams must aim to craft their dispute resolution choices in order to maximise the potential to collect on smaller value claims while also minimising the costs associated with those claims. This may often include attention to unique jurisdictions and/or arbitral institutes like the DIFC SCT and the ICC, which have created opt-in procedures beneficial for businesses pursuing smaller value claims. Smaller investments in legal knowledge now can save immensely in legal costs later, especially as many of these newer small claims options will allow for reduced costs for legal representation and administrative fees while increasing the chance of collection. Legal teams should note that many of these procedures require opting-in, usually in writing and before a dispute arises. This means that efforts to update standard documents and contracts for future business in order to better outline a cost-efficient dispute resolution strategy will often be a worthwhile exercise. Businesses should also consider amendments to past contracts and agreements to include more thoughtful dispute resolution clauses. There is opportunity to include varying choices in a dispute resolution clause for larger versus smaller value claims, allowing a business more flexibility in its dispute resolution choice, based upon the value of the claim at stake. With legal costs showing no sign of a decrease in the near future, the rise of smart and efficient small claims procedures is an important development around the globe. Businesses should not be hesitant to consider these developments when mapping dispute resolution strategies moving forward, acknowledging that lower cost, more efficient procedures for small claims collection can make a big difference to their bottom line.